Randall Thysse, who began his FBI career fighting white-collar crime in Omaha in 1989, will return to the office as special agent in charge, Omaha.com reports. Thysse will be responsible for overseeing FBI employees in Nebraska and Iowa. 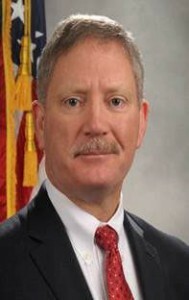 In February, Thysse will replace Thomas Metz, who retired from the FBI in late November to join the private sector. Thysse most recently oversaw crime reduction and terrorism prevention for the FBI’s Operational Program Branch of the Criminal Justice Information Services Division. Posted: 12/16/15 at 9:26 AM under Milestone, News Story.